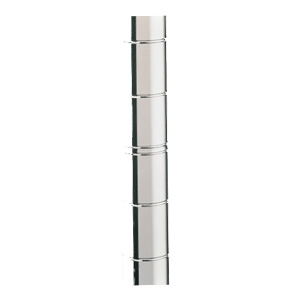 Metro Style Adjustable Posts have grooves at 1"intervals. A tapered split sleeve snaps together around each post to accept tapered shelf corner providing a positive lock. No tool assembly.